De-extinction: dinosaur to dodo… or at least to the Barbary lion? 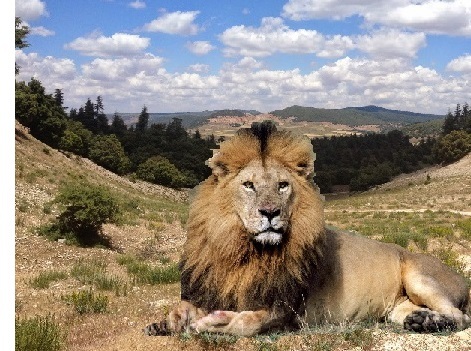 Is the prospect of a lion living wild in the Moroccan landscape just fantasy fiction? The growth in knowledge of genetic technologies has raised the topic of “De-extinction”, the recovery of extinct species. But is it worth spending money and resources to produce a conservation ‘gimmick’, like a resurrected mammoth? This is a question of ethics; the value of a curiosity. But there are practical implications as well; if we are to reintroduce species into the wild, are we really good enough at reintroductions to make this a success (Donlan 2014)? De-extinction discussions often relate to famous species such as the Woolly Mammoth, Passenger Pigeon, Dodo and Thylacine and are often criticised for the “Jurassic Park” element of the argument. However one step back from those more spectacular proposals are recently lost sub-species including the Barbary Lion (Jones, 2014) as potential ambassadors or mascots for conservation and biodiversity recovery in their lands of origin. This prospect has been the on-off discussion concerning the fate of the lions of the Kings Collection in Morocco for decades (Nowell and Jackson 1996). However, the argument for this type of work needs to go deeper. Recovery of such a formidable species into the wild requires a transformation in the landscape and in the thinking of local people, including the conservationists themselves to develop a sensible and worthwhile model of reintroduction. Reintroduction must match biology, socio-economics, local culture and politics – and most of these factors do not involve scientific expertise, but skills and knowledge in quite different aspects of work. Nowell K., and Jackson P. (1996) Wild cats, status survey and conservation action plan. Gland: IUCN/SSC Cat Specialist Group. This entry was posted in Conservation, Extinction, Genetics and tagged lion, reintroduction on June 8, 2015 by Simon Black. This is one of the captive lions descended from animals in the Moroccan Royal Collection. Most of these animals are very interesting specimens, particularly the males with their distinctive muzzle shape and magnificent mane. After the silence,i prepared Some questions.Some of them are known for you,but maybe you can give me the fresh information about the project and his development? Plus,one more think i want to advice : not long ago i visited the WWF site,and found some interesting news. Russia prepared a wonderful project of Re-introduction the persian leopard in Caucasus. This project started three years ago and now WWF preparing two young leopards to release into the wildlife.So,maybe you will ashre the idea of Re-introduction pf Barbary lions with WWF,and it will be more successful ? if this is a lion barbary, they are very beautiful, I would love to see one in the wild.